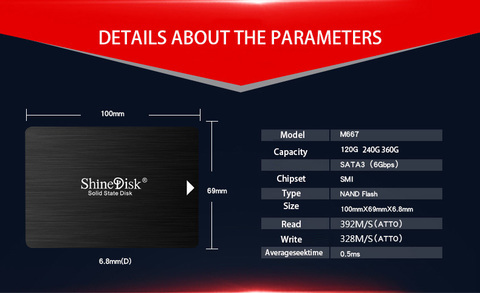 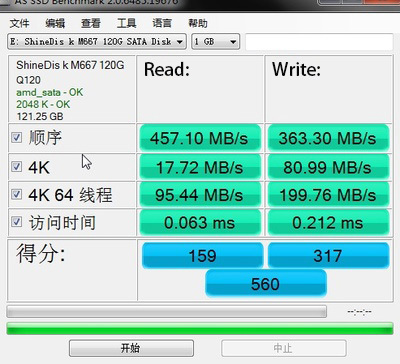 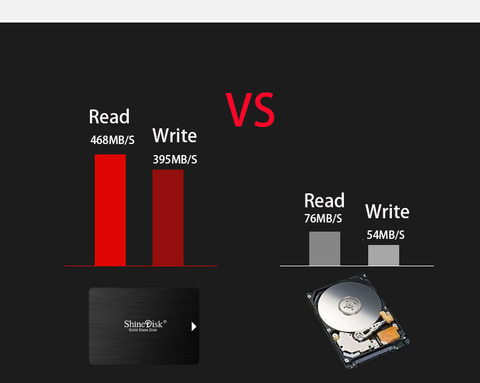 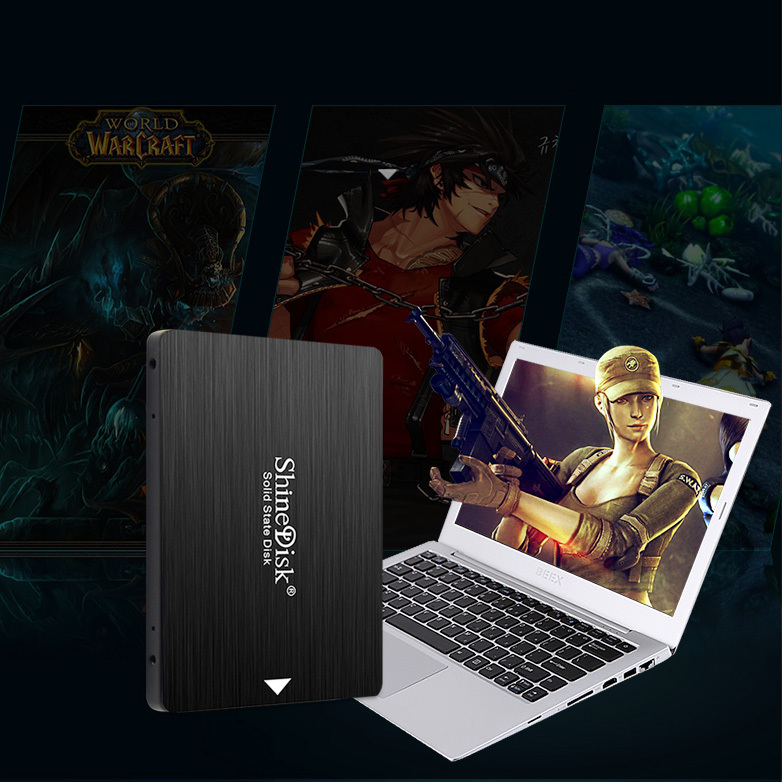 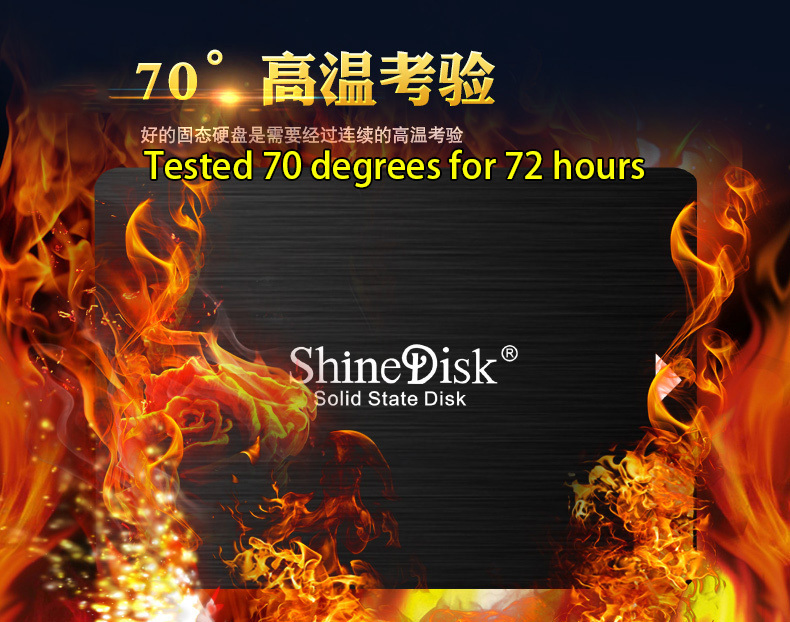 ShineDisk solid-state drive dramatically improves the responsiveness of your existing system with incredible boot, loading and transfer times compared to mechanical hard drives. Powered by a latest-gen controller for read and write speeds of up to 524MB/s and 468MB/s, this SSD is 10x faster than a traditional hard drive* for higher performance, ultra-responsive multi-tasking and an overall faster system. 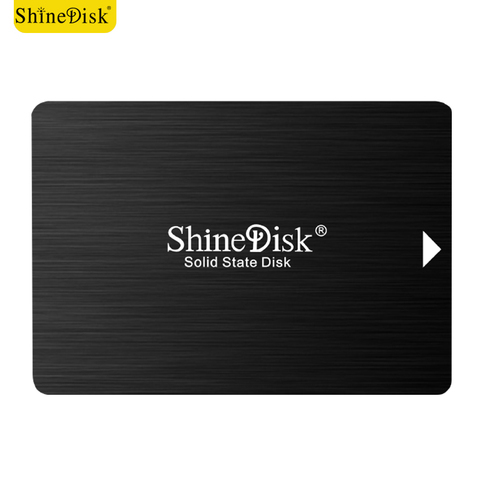 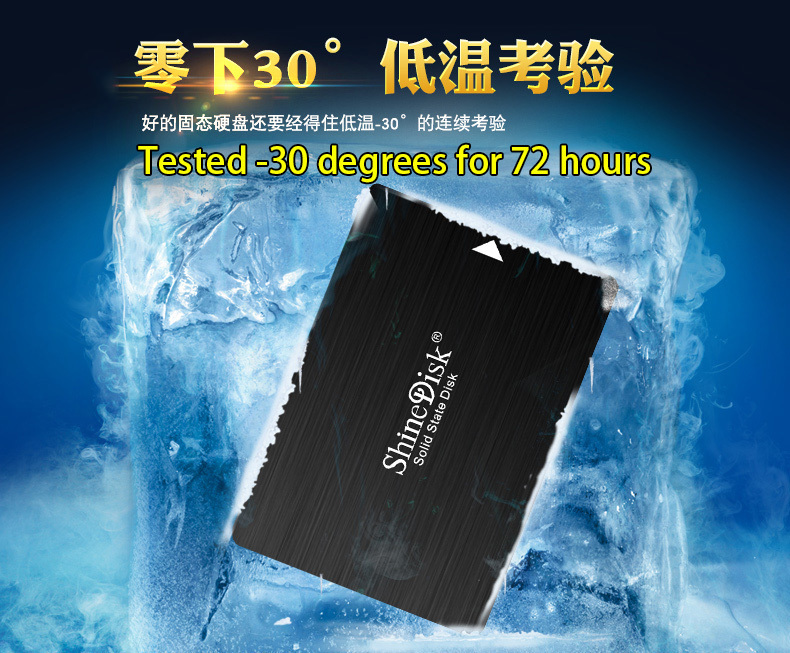 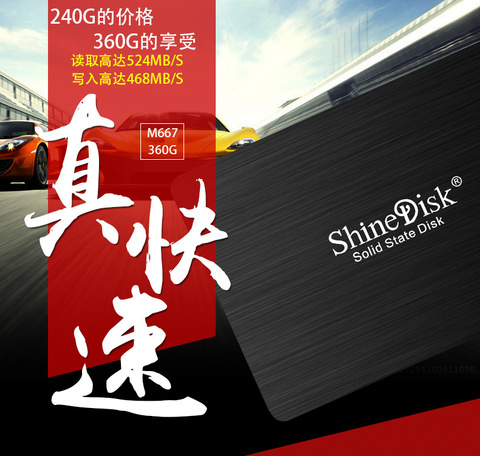 Also more reliable and durable than a hard drive, ShineDisk is available in multiple capacities from 120GB–360GB.